Michael Bedward is a Lecturer in Innovation, Enterprise and Entrepreneurship for the School of Business at London South Bank University. In his former role as a Teaching Fellow at King’s College London he had overall responsibility for preparing King’s academics to deliver in the short course format at pre-university, undergraduate, professional and executive education level in the UK and overseas. Michael has been awarded an MBA and he also holds pos-graduate degrees in Learning and Teaching, Academic Practice in Higher Education and Online Tutoring. 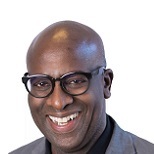 Michael is the Business School’s point of contact for enterprise opportunities and leads on the development of a Business Summer School and on the Small Business Charter resubmission process for LSBU. King’s College London – Teaching Fellow-led on the pedagogical development of Summer Programmes- designed and developed a range of Level 4 (15 credit) undergraduate course modules: International Business, Entrepreneurship, E-Business Management, Marketing Management with International Marketing, and Managing Innovation. The modules were taught by me in the UK, India and Indonesia. Designed, developed and delivered pre-university modules: Business Management, Global Leadership, and Strategic Management in the UK and India. Marked students’ summative assignments and provided feedback. King’s College London - Summer School Tutor, responsible for Entrepreneurship course development, teaching and assessment of a 3-week Summer School course within the School of Arts & Humanities in London and 2-week Summer School course in Mumbai, India. University of the Arts London - Tutor, MA Innovation Management, Central Saint Martins, College of Art and Design. Unit Leader on the MA Enterprise Management for the Creative Arts, responsible for course content, delivery of lectures, seminars, tutorials, scheme of work and assessment on a number of units including: “Work Based Learning”, “Marketing and Cultural Production”, and the “Management of Creativity”. Visiting Lecturer for International Studies Abroad (ISA), the Centre for Entrepreneurship, Insper (the Institute for Education and Research) in Sao Paulo, Brazil, and the Universidade Potiguar-UnP Laureate International Universities, Natal, Brazil. Enterprise Tutor, Peter Jones Enterprise Academy - Produced schemes of work, course content, assessment and delivery of lectures and workshops on a number of units of the BTEC Diploma in Enterprise and Entrepreneurship. Michael’s research interests are in the field of the internationalisation of the entrepreneurship curriculum. Fellow of the (RSA) Royal Society for the encouragement of Arts, Manufactures and Commerce. King’s College London’s Modern Language Centre, 2016, as part of their conference titled “The International Classroom”, developed and delivered a bespoke workshop on the internationalisation of the modern language curriculum. EAIE Glasgow, 2015, Co- delivered a panel session on “Developing Grade A Summer Schools” with the Programme Manager of Helsinki Summer School, University of Helsinki Finland and Vice Chair of the Network of European Summer Schools. British Council Services for International Education Marketing (SIEM) conference in Glasgow, 2015, Presentation on “Successful recruitment practices in South Asia” and contributed to wider panel discussion.